If you’ve seen commercials lately for Purplebricks promising you a better home buying or selling experience, you might first be wondering who the heck they are. Like myself, I hadn’t heard of them until they began a major media push in 2017. Their TV commercials feature homeowners who ostensibly made the mistake of using a full-commission real estate agent alongside a neighbor who used Purplebricks and saved a ton. The result is a very angry and jealous home seller who in hindsight wished they had heard of and used Purplebricks to sell their home. For the record, many people refer to the company as “Purple Bricks” but it’s actually all one word. They started out in the United Kingdom back in 2014 and quickly became “the number one Real Estate Brokerage in the UK” in just three short years. It’s unclear what they mean by number one, but they’re apparently a $1.5 billion company that is growing rapidly worldwide. Purplebricks has a “proprietary software system” that allow real estate agents and home buyers/sellers to communicate in real-time, thereby avoiding the typical delays seen in real estate transactions. This supposedly eliminates the need for physical branches, a cost-saving measure that allows consumers to save when they buy and sell homes with the company. The lack of offices and rent for those offices, along with the supplies, utilities, and so on, mean they can charge less than typical real estate agents. Their real estate agents, known as “Local Real Estate Experts” or LREEs, are also provided with listing opportunities via marketing and advertising campaigns that alleviate the need for them to chase new leads. As a result, they have more time to focus on their clients, which ideally leads to quicker transactions with better customer service. In terms of motivation, their agents are propelled higher via good customer reviews, so their motivation to sell at the highest price is there regardless of the lower fee. They are currently doing business in California (Fresno, Los Angeles, Orange County, Palm Springs, Sacramento, and San Diego) and in New York City, with more markets likely coming. It’s actually the New York Designated Market Area (DMA), which includes counties in New Jersey, New York, and Connecticut. If you decide to sell your home with Purplebricks, it will be considered an Exclusive Right to Sell agreement, meaning if you or another broker find a buyer, you are still required to pay Purplebricks the agreed upon seller fee. Before you make that commitment, you can schedule a “free valuation” to see what they think your home is worth (via a comparative market analysis) and to get some local real estate insight. Once you do commit, you must agree to a $3,600 flat seller fee, up from $3,200 when the company first launched. This counters the typical 2-3% of the purchase price a real estate may charge. 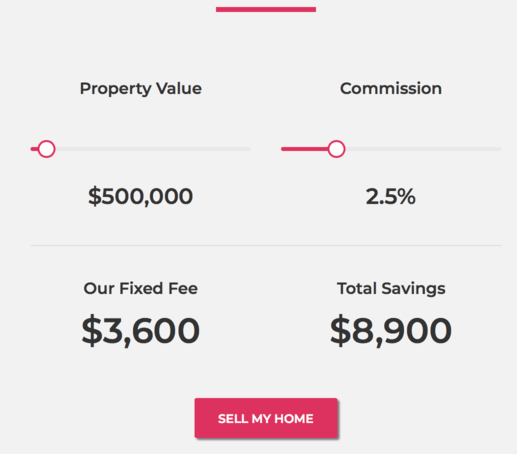 On a $500,000 home sale with a 2.5% fee, we’re talking $12,500 commission. So you’d save nearly $9,000 via the flat fee, assuming the selling price was the same. They will list your property on the MLS, along with major websites like Zillow, Trulia, and Realtor. It will also be listed on the Purplebricks website. In terms of property showings, you can share available time slots with your agent who can then select a free slot if they have a prospective buyer. Any buyers that do show up to your property will be requested to be pre-approved for a mortgage to ensure only qualified applicants visit your home. Like traditional real estate agents, you’ll be given a yard sign and lockbox, and professional photographs of your property will be taken, along with an immersive 3D virtual tour. They also offer 24/7 support via phone or through the Purplebricks customer service center. You can sign up online to list your home or schedule a meeting with a Local Real Estate Expert first. 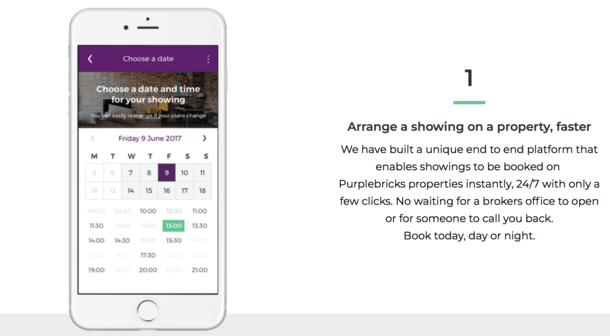 Once the property is listed, you’ll be able to access your “Purplebricks performance report” on your desktop computer, mobile device, or via their app. It will provide a real-time snapshot of your listing, including showings, offers, and any other feedback. While the relatively low $3,600 fee to sell a home is a big positive, one potential negative is if the property doesn’t sell. With a traditional real estate agent, you can go your separate ways if your property doesn’t sell during the contract period. With Purplebricks, the fee is due either when the property sells or after six months from the date it was listed. After that time, they’ll continue to show the property until sold at no extra charge. You can also take it off the market and relist it at no extra charge as well, but you’ll still be under contract with Purplebricks. The hitch is that you’re basically on the hook for that fee no matter what, which is probably great if your property sells quickly at a price you’re okay with. If you happen to use a Purplebricks real estate agent to buy a property, there is no fee per usual. And you get a $1,000 credit for closing costs. To find an agent, simply visit their website and perform a zip code search. You’ll then be presented with an agent name, picture, and bio. If you want to be an agent with Purplebricks, you can apply online as well. The advantage is you get your own zip code or even multi-zip code territory and they do all the marketing for you via TV and radio campaigns. It’s not to say you won’t be matched up with a good agent, it’s just that the highlight seems to be the flat fee on the sell side. Of course, you can do some cool stuff like a book a showing online, and communicate securely with the home seller via a messaging platform 24/7. You can also submit an offer online and see the status of that bid in real-time. You’ll also receive an instant notification if/when a response from the seller is made. This they hope will speed up the home buying process and make your offer stand out above others. Lastly, they have a comprehensive listing website similar to Zillow and Redfin that allows you to draw search zones, see local information like schools, and nearby transportation. All in all, it’s an interesting take on buying and selling real estate, and if you can sell your home for just $3,600, it could save you thousands of dollars. To provide perspective, a $1 million sale with Purplebricks would equate to a 0.36% fee, which is certainly very cheap.